We are a member club of Rotary International and its District 7070, an organization of professional persons, united worldwide, providing humanitarian service, encouraging ethical standards in all vocations and helping to build goodwill and peace locally and thoughout the world. This is exemplified by Rotary's official motto: "Service Above Self". 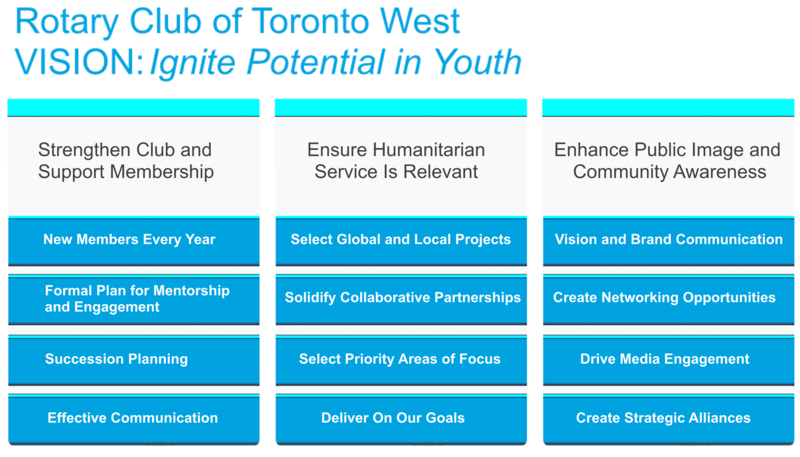 The Rotary Club of Toronto West, also called Rotary Toronto West (RTW), has a rich history, with the original charter dating back to 1955. Our membership is diverse, encompassing men and women of various occupations and interests. The club offers strong fellowship, principally through weekly meetings, where we explore and discuss a broad range of interesting topics, as well as through committee participation that helps to foster deeper friendships, mutual respect and understanding. We provide opportunities to contribute and participate in a variety of events and fund-raising activities. We work within our community, contributing practical efforts, experience and funds for worthy causes. We are active in our District, and support selected projects in Canada and internationally. Our vision is to IGNITE THE POTENTIAL IN YOUTH by empowering them to overcome challenges and maximize their potential. Our mission is to become a Rotary Club with a fully engaged membership, making a positive impact on youth, which is committed to creating strong community partnerships, has a high local profile and is financially sustainable. 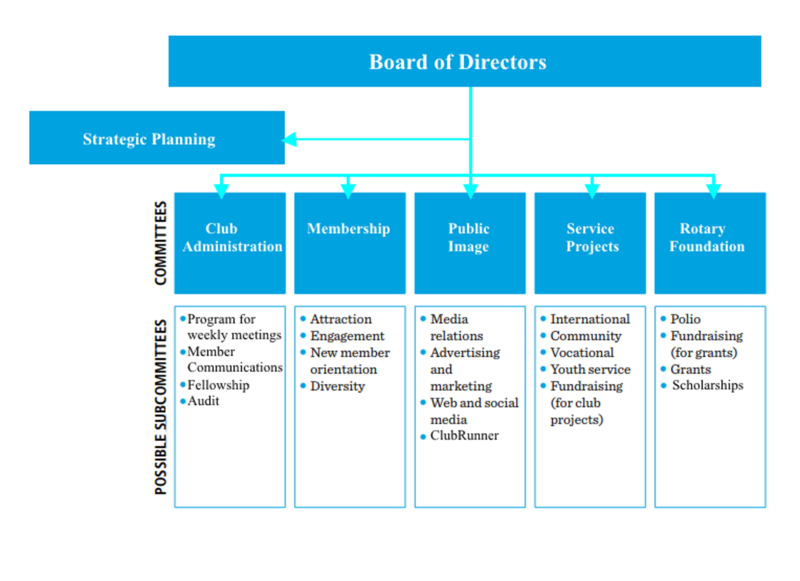 Our organizational structure is depicted below. Member participation on the Board of Directors and Committees is encouraged. We welcome visitors and guests so please check our calendar and join us for a meeting. We'd love to see you!